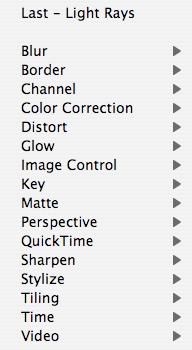 When Apple updated Final Cut Pro to 5.1.2, it added a very cool new feature, FxPlug. FxPlug is the effect plug-in architecture used in Motion. 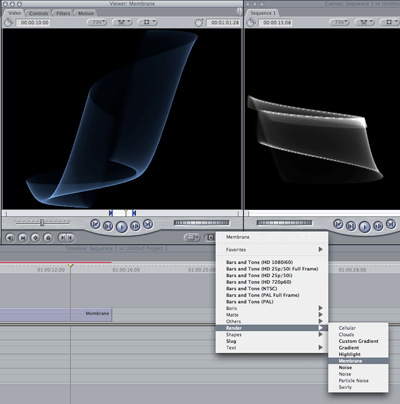 This is really exciting news for FCP users because it means that there will be more advanced plug-ins to use with FCP. While it may take some time for third party vendors to make some of the more advanced plug-ins, FCP has already included some that you can use today. You will find several of these new plug-ins in your generators menu. And there are many new effects that you will find in the effects menu. I am very excited about the new glows, as it has been something that I felt was really missing from FCP, and I was not happy with any third party solutions. You might have also noticed that you now have some FxPlug example code in your Devloper folder, on your system drive.